And it made me laugh – in fact it made a number of people laugh. But then I got to thinking about press and broadcast – and how so few of us want to ‘advertise’ now. 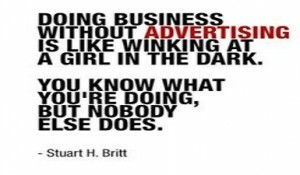 Much of this is down to digital marketing of course, but advertising, whether print or broadcast does still have purpose.